It’s been aaaaages since I last published a travel diary; more than two years, in fact. 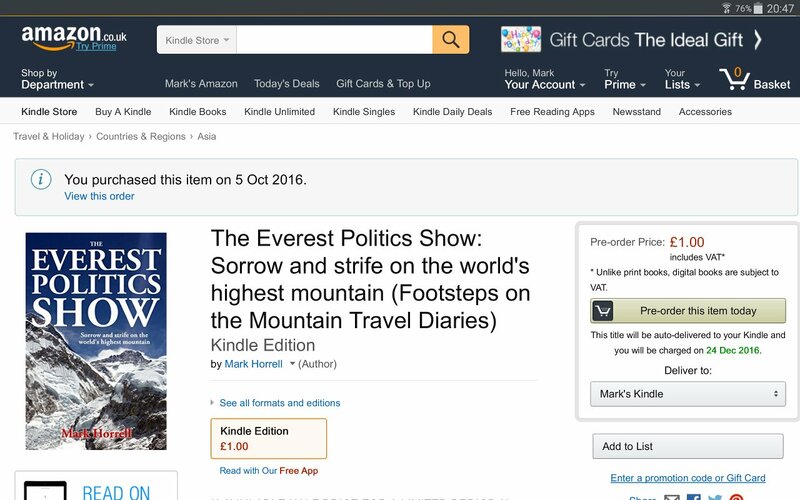 But I’m pleased to announce The Everest Politics Show, the diary of my traumatic expedition to Lhotse in 2014, is now available for pre-order from Amazon, iBooks, Kobo and Barnes and Noble, and will be released in time for Christmas. 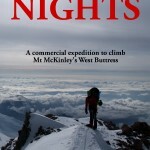 The book covers the controversial 2014 Everest season, when a tragic avalanche led to a labour dispute which threatened to close down Everest for the year. 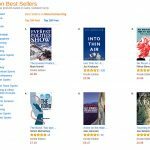 For a week our friends the Sherpas, the tigers of Himalayan mountaineering, were headline news for all the wrong reasons. I returned from my expedition shocked and bewildered, and it left a deep mark on me for several months as I tried to make sense of events. If you’ve been following this blog for a while you will know that I wrote about nothing else for weeks, as I tried to set the record straight and come to terms with what happened. We move on with our lives, and these things fade from memory. Nepal (and Everest) had a much greater tragedy the following year, when a 7.8-magnitude earthquake left 9,000 dead and many more homeless. It’s been a while since I gave those strange events of 2014 any more thought. 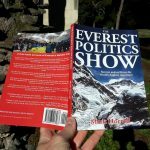 For the next year or so I dedicated my time to writing Seven Steps from Snowdon to Everest, my first full-length book, covering events from an earlier period. 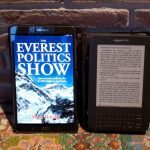 Publishing my travel diaries as ebooks was how I set out in my career as a writer, even before I started writing this blog. I used to scribble them in my tent on pen and paper after a day in the mountains, then type them up back home a few months later. These days I save myself time by tapping them into a smartphone, but in 2014 I was still using a good old-fashioned biro, so I’ve had to type out every word again. Going back and revisiting these events has been an interesting experience. It’s very important to write a diary immediately, because some things fade from memory very quickly, within a matter of days. Jotting them down straight away is therefore the only way of preserving them. When I wrote all those blog posts about Everest in the spring and summer of 2014 that some of you doubtless got very bored with, I was omitting crucial information that lay buried in the pages of my diary. I had forgotten some of the facts, but now I’ve been able to recover them. My diaries used to be entirely self-edited, which meant there were always a few clumsily worded sentences and the occasional typo. Now that I’m becoming more professional as a writer I wouldn’t dream of putting any new work out there without getting it properly edited (though there is still some self-edited old stuff available). I’m pleased with this book, and I’d like to publish it as a paperback eventually too. Paperbacks are more expensive to buy than ebooks, so the writing needs to be of a higher quality. I’m very pleased therefore, to have secured the services of Alex Roddie to do a thorough editing job on the manuscript before it goes live. Alex also edited Seven Steps and the revised version of The Chomolungma Diaries, and did a great job. He’s much more in demand as a outdoor writer and editor these days, for publications like Trail Magazine and Sidetracked. I don’t know why he agreed to find time to fit me into his busy schedule, but I’d like to think it’s because he enjoys reading my jokes. Anyway, enough of my waffle, it remains to encourage you to pre-order the book, so that you’ve got something to read over the Christmas holidays (or any time it suits you for my small number of readers in Pakistan and other Muslim countries). The book costs a single dollar, euro, pound, or just a handful of rupees depending on your currency of choice. It’s a no brainer. ← Is acclimatising at home the future of Himalayan mountaineering? Looking forward to reading it Mark after enjoying your Seven Steps book so much. Thank you, Tony. I hope you enjoy this one too!